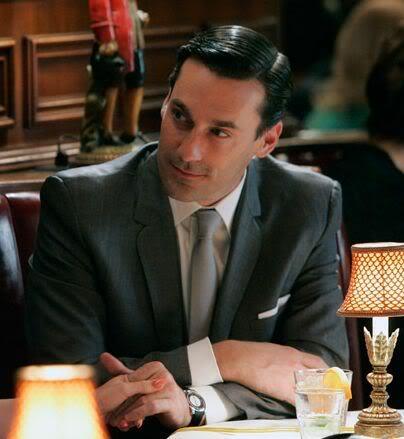 One of Don Draper's favorite watch brands in the beginning of Mad Men was Jaeger-LeCoultre. In the very first season of the show, one of the first watches you can see Draper wearing is a Jaeger-LeCoultre Memovox with a Tuxedo dial. This watch featured a white dial, black outer ring, and round steel case. This style of watch was very popular during the 1960s and is considered one of the most classic watches of the time. Introduced to America during the post-war boom period, the Memovox watch was made for men who were always on-the-go like international businessmen. It later became popular among all businessmen, as evidenced by Draper, and other career men looking to keep track of time. The first Memovox watches produced were hand wound, but were soon after made automatic. This style was also one of the first automatic watches to include a mechanical alarm feature. The Jaeger-LeCoultre Memovox was discontinued shortly after the 1960s, but made a reappearance in 2012. Today, this style of watch is still being produced. In season 2 of Mad Men, Draper upgrades his Jaeger-LeCoultre Memovox watch to the Gold Reverso Classique, also made by Jaeger-LeCoultre. The Reverso watch was first introduced in 1931 as a polo watch. British officers who played polo kept complaining about broken glass in their watches.The issue was brought to the attention of manufacturer Jacques-David LeCoultre, who then developed the Reverso watch. The rectangular face can be flipped around completely to protect it from any damage, which was helpful when his wife Betty went to have the reserve side engraved during one show. The Reverso became widely popular with all sorts of men at the time. This style was more modern for the time and represented a more understated class and sophistication. This Reverso was a classic watch with a square profile face, brown leather strap, and yellow gold case. Surely this watch was meant to represent the large raise Draper received at the time when he was made partner at Sterling Cooper. Draper sticks with the Reverso watch through seasons 2-4, showing how much he really loved and appreciated the watch and its features. There are still Reverso watches made today that remain a popular choice for people working in business. By season 4, Draper was ready for a substantial upgrade in his timepiece. And, what better brand to show status than to sport a classy and sophisticated Rolex. Draper is seen wearing a Rolex Explorer throughout season 4 of the show with a black dial and stainless steel Oyster bracelet. The historical accuracy of this watch, however, has been disputed since it appeared on the show. Many claim that this model of Rolex was not a watch that could have been easily obtained by an American in 1964, or one that they even knew about. Even though Draper was working on the Rolex case, Rolex watches were not popular in the US and the steel-bracelet style was not in fashion for businessmen like Draper. Additionally, it has been noted that Draper's Rolex has sapphire crystals, which was not a feature that was introduced until the 1970's. Nevertheless, the Rolex Explorer is a versatile watch that can effortlessly be worn for drinks at the bar or traveling, and it is arguably one of Rolex's most classic sport watch models. . 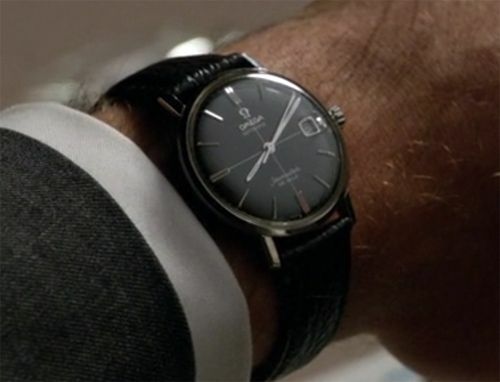 In season 5 of Mad Men, Don Draper is seen wearing the OMEGA Seamaster DeVille watch. With a black 34 mm dial, black strap and date indicator, this style was consider one of the dressier OMEGA models. The Seamaster was an iconic watch in the 1960s. The all-black look was a bit of a change at the time for watches because it was different than more conventional white watch faces from the 1950s. At this time, OMEGA was a brand that was very successful and had a bright future ahead of it. The OMEGA Seamaster became an instant hit among successful men in America, especially those who enjoyed yachting or diving. Even though they were designed for water-proof resistant activities, the DeVille was was considered one of the nicer automatic watches that OMEGA produced in those years. It was one of the dressier watches in the collection vs the standard diver's watch, and it was refined and elegant. Considering Draper's social and economic standing at the time, the OMEGA Seamaster makes sense as a watch he would be interested in.